Deck out your groomsmen with stylish boutonnieres. 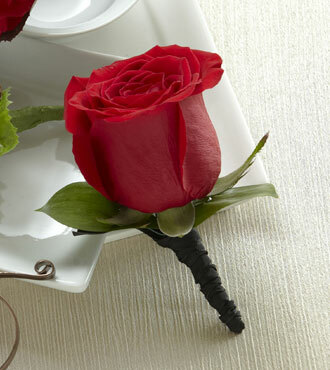 This simple and elegant red rose boutonniere is arranged with vibrant greens and black taffeta ribbon. Your wedding celebration will stand out with these sophisticated boutonnieres.